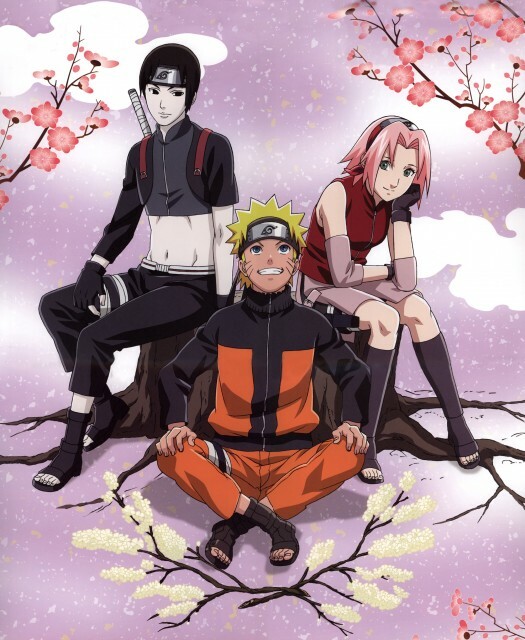 This one from Naruto shippuuden is really great! team Naruto is the best! wo this one is very nice with the whole team and sakura trees for the background. Thank you for sharing this. I really like this scan. gracias por estos scans, por cierto este es el calendario del 2009? great group picture, i love it. the new team 7! Nice picture, but wow...Sai's skin is totally ashen. Wow, This is really pretty ~ I love this. Imponente. gracias por el scans! Es bello. Awesome scan! Really cute! Squad 7.5!